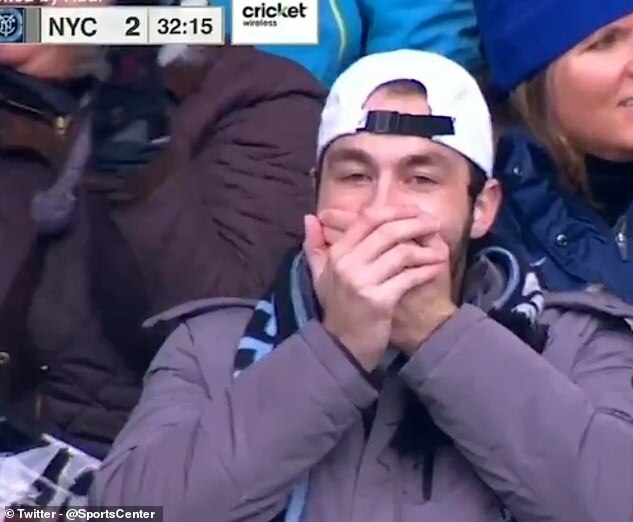 Fans have mocked New York City goalkeeper Sean Johnson following his howler against Minnesota United at the weekend. 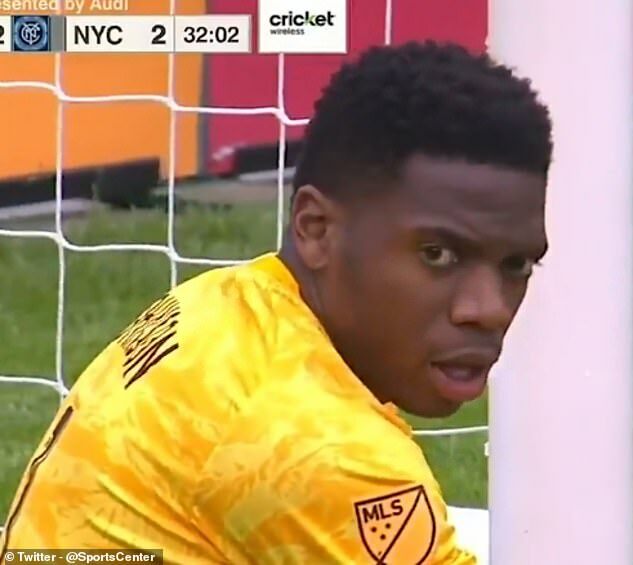 The New York stopper was between the sticks as the tie rolled past the half-hour mark with the scoreline poised at 2-2. 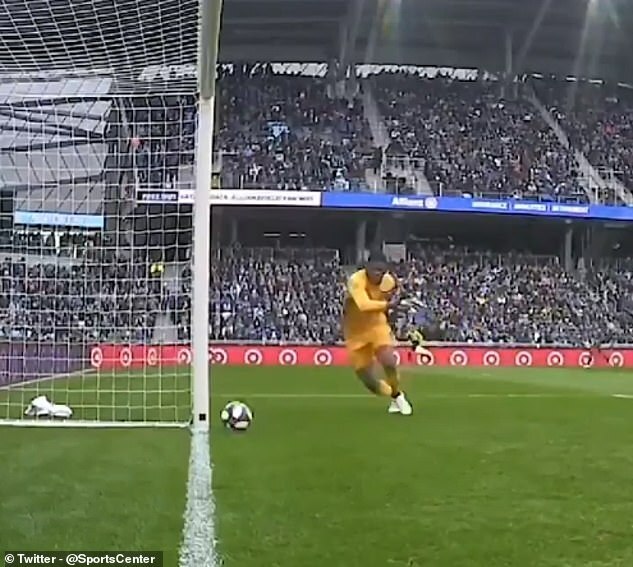 Preparing himself to receive a slow-paced back-pass, Johnson appeared to completely lose his bearings and allow the ball to bypass him and roll straight into his unguarded goal. 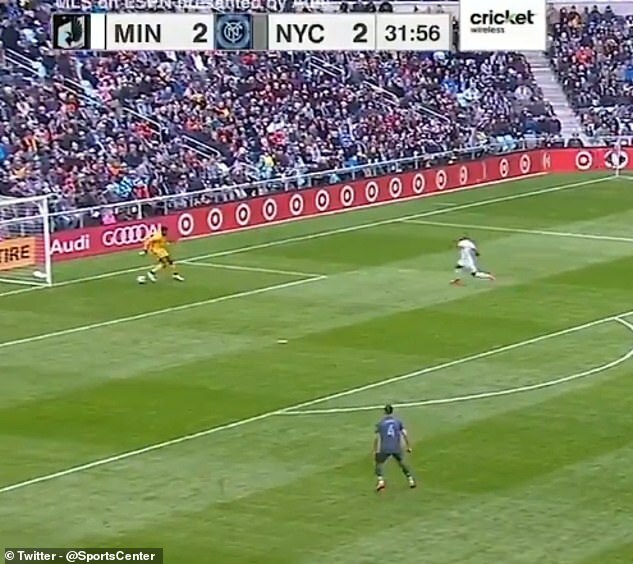 Johnson wasn’t even attempting anything fancy, but rather aiming to control the ball and let it come across his body before playing it out across the field to a defender in open space. Realising his helpless situation, Johnson lunged for the ball as it trickled and was left clinging onto the post as the home supporters delighted in his error. Reaction was rife as the red-faced Johnson hoped for the ground to swallow him up, with fans online hurrying to mock the 29-year-old. 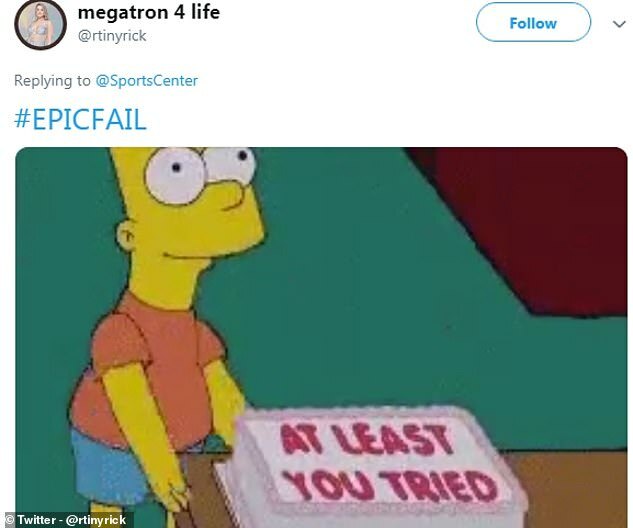 ‘Epic fail,’ wrote one fan alongside a popular clip of a mocking Bart Simpson. ‘This is why people don’t take MLS seriously,’ added another, making a dig at the standard of football played in the country. 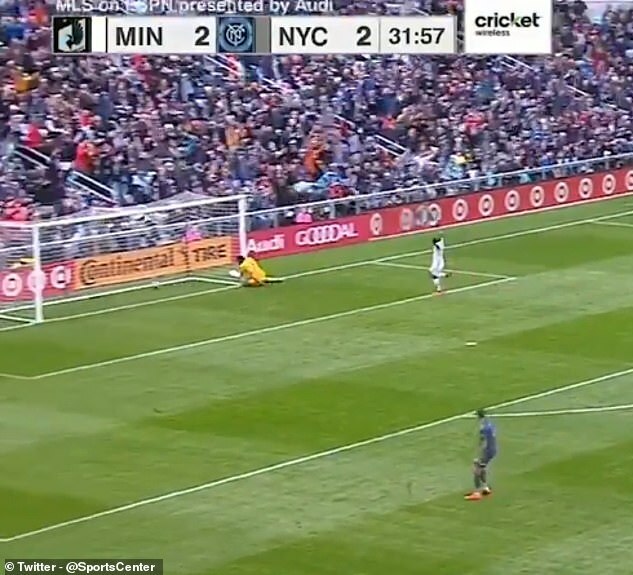 In the opening stages at the Allianz Field New York had come back from a goal down to lead 2-1. Angelo Rodriguez scored for Minnesota, before Johnson’s howler put the hosts in front once more. Ismael Tajouri spared his team-mate’s blushes by equalising in the second half, with the game ending as a 3-3 stalemate.